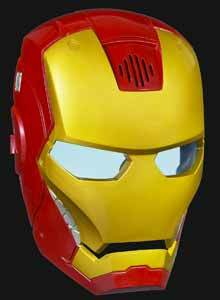 The Iron Man: Mission Mask is one of a series of character masks available from Hasbro based on characters from the Avengers movie. Now kids can pretend to be Iron Man with this cool toy. The mask comes complete with three AAA batteries that allow the electronic sounds and light effects to work. The sound effects include computer effects, explosions and one voice command that simply says: "Iron Man". 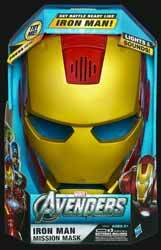 This is a great toy for the price and will certainly be enjoyed by young Iron Man fans.